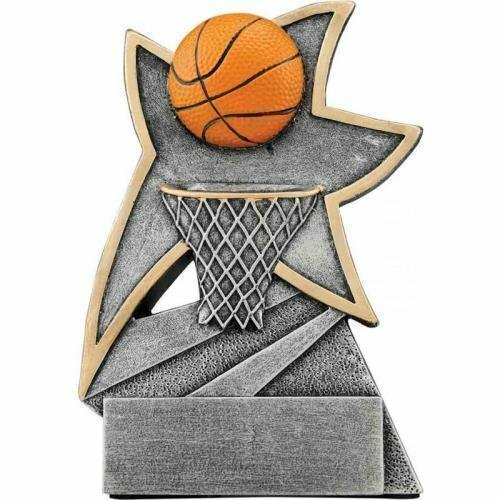 This 3D Star Basketball Award (Female) has a very unique design. This basketball trophy comes with a brushed gold laser engraved plate. 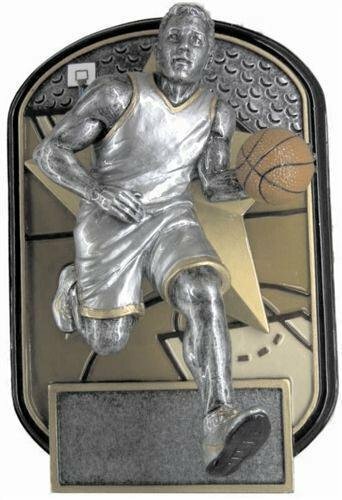 This 3D Star Basketball Award (Male) has a very unique design. 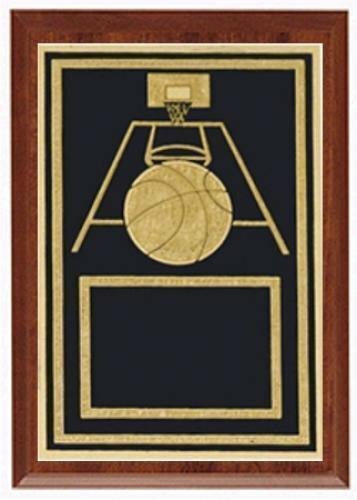 This basketball trophy comes with a brushed gold laser engraved plate. 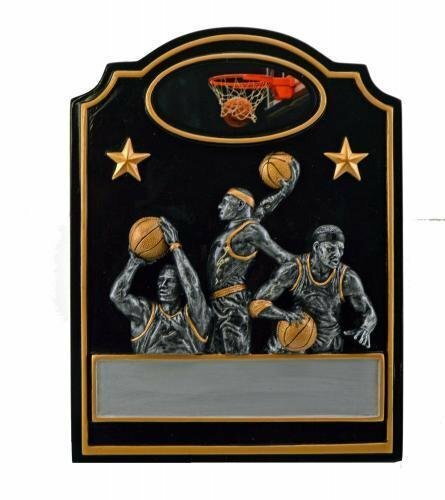 The Basketball Banner Trophy is a resin award with stars and a great deal of character. This resin trophy includes a brushed gold plate with up to 3 lines of black engraved letters. 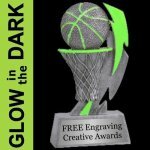 The kids will get quite a kick from this GLOW in the DARK Basketball trophy. The basketball award has an antique pewter finish with yellow accents. Expose it to light and then turn off the lights for a GREEN GLOW! 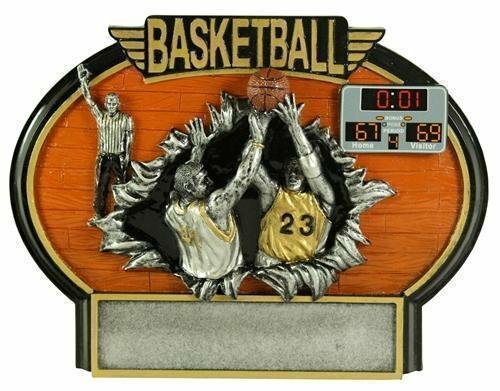 These basketball trophies are economically priced and a lot of fun. It comes with a brushed silver plate and black laser engraved letters. The Radiant Basketball Trophy is a resin award with stars and a great deal of character. This resin trophy includes a brushed gold plate with up to 3 lines of black engraved letters. 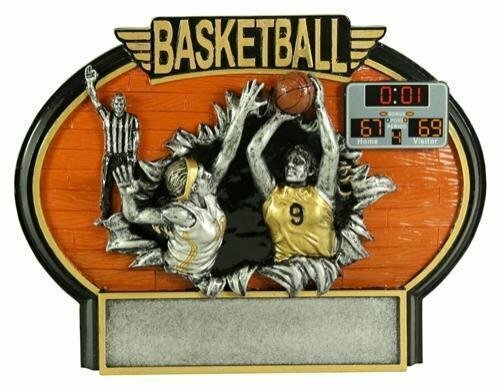 These colorful resins feature a realistic looking basketball wrapped in a ribbon banner and sitting on a gold pyramid mounted to a black base. 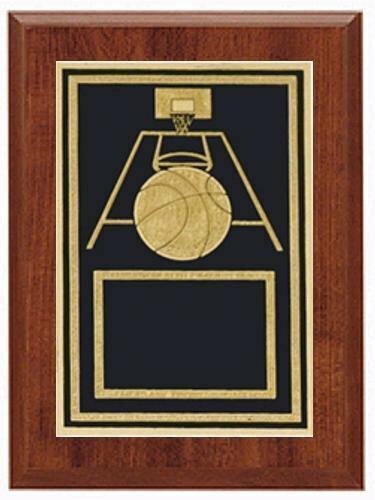 Just add a plate personalized for your event to the base for a budget friendly way to recognize achievement on the basketball court. This resin award is available in 2 popular sizes. 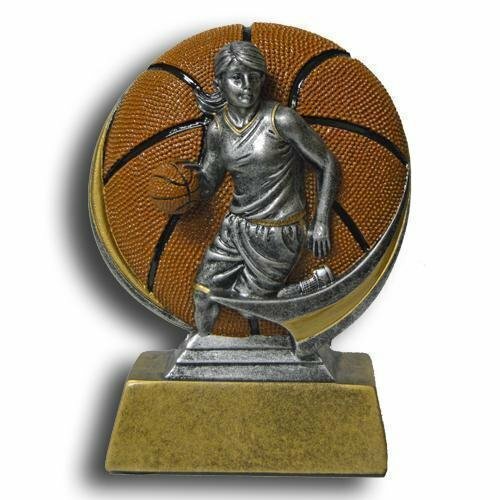 The Burst Thru Basketball Trophy (Female) is a popular choice. This basketball award can stand alone or be hung on the wall. The resin trophy includes a brushed silver plastic plate with up to 3 lines of black laser engraved letters. 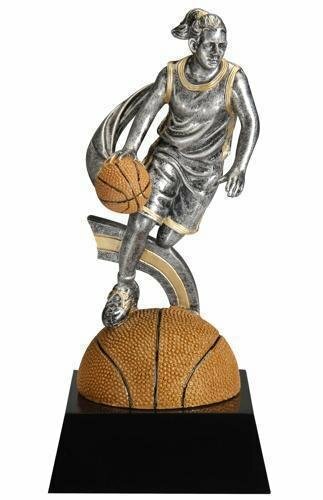 The Burst Thru Basketball Trophy (Male) is a popular choice. 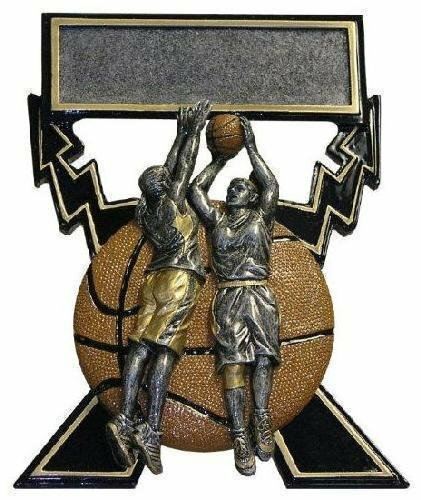 This basketball award can stand alone or be hung on the wall. The resin trophy includes a brushed silver plastic plate with up to 3 lines of black laser engraved letters. 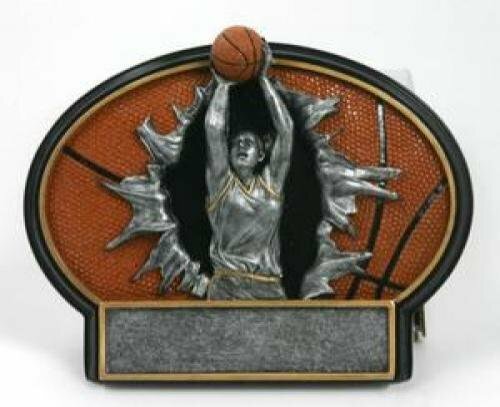 This Lightning Bolts Basketball Award (Female) can either stand alone or be hung on a wall. 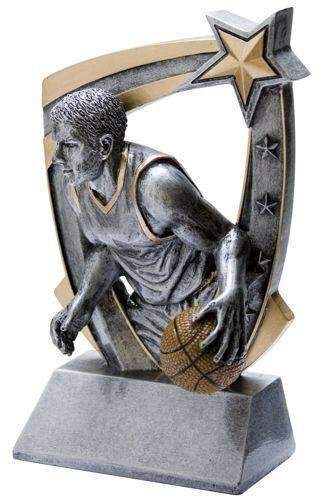 This basketball trophy comes with a brushed silver laser engraved plate. 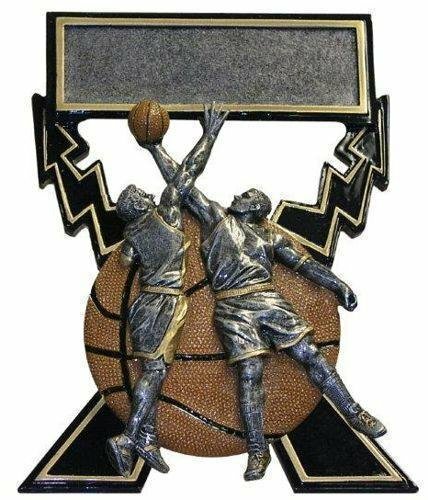 This Lightning Bolts Basketball Award (Male) can either stand alone or be hung on a wall. 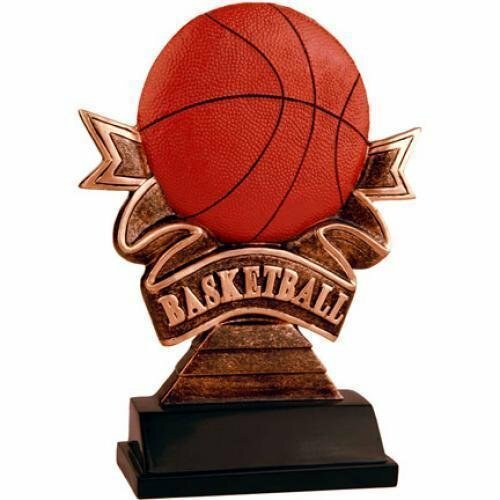 This basketball trophy comes with a brushed silver laser engraved plate. The Next Gen. 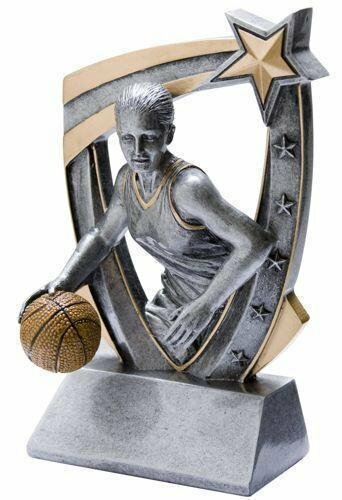 Female Basketball Trophy is Awesome! With a high level of detail, this baseball award is sure to wow its recipients. 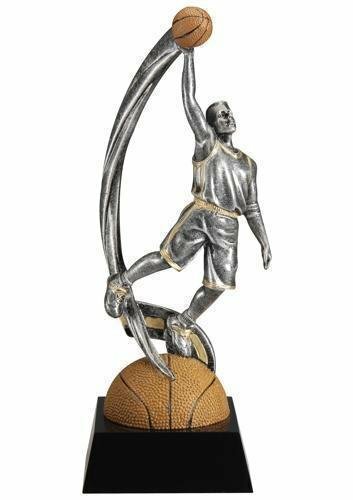 This basketball trophy can be hung on the wall or stand alone. 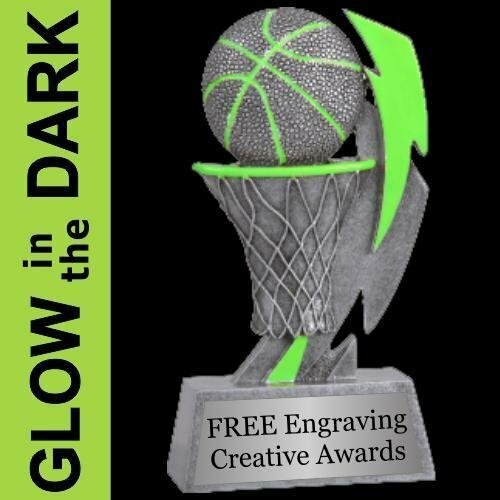 The basketball resin includes a brushed silver plastic plate with up to 3 lines of black laser engraved letters. The Next Gen. Male Basketball Trophy is Awesome! 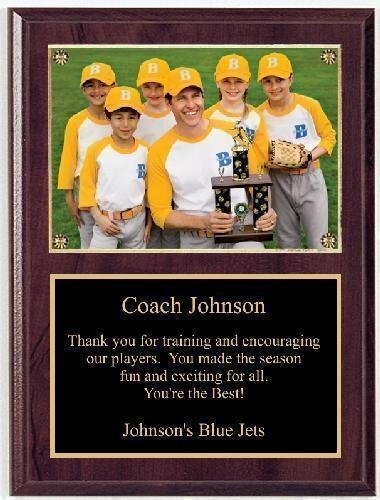 With a high level of detail, this baseball award is sure to wow its recipients. 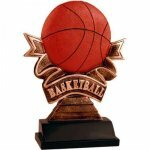 This basketball trophy can be hung on the wall or stand alone. 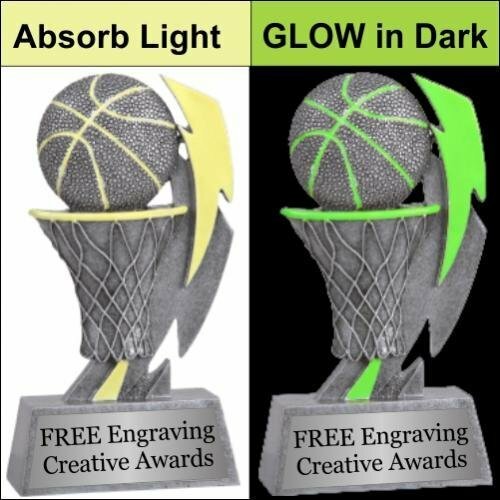 The basketball resin includes a brushed silver plastic plate with up to 3 lines of black laser engraved letters. 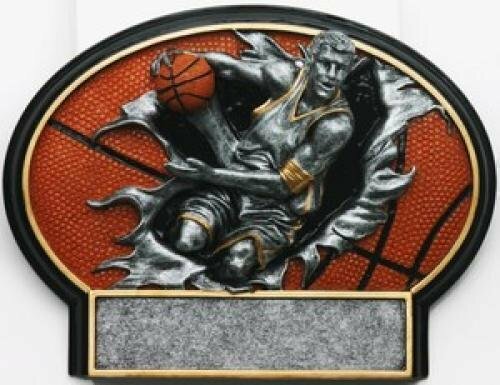 The player rocks forward and backward on this resin award. It has a great 3D effect. 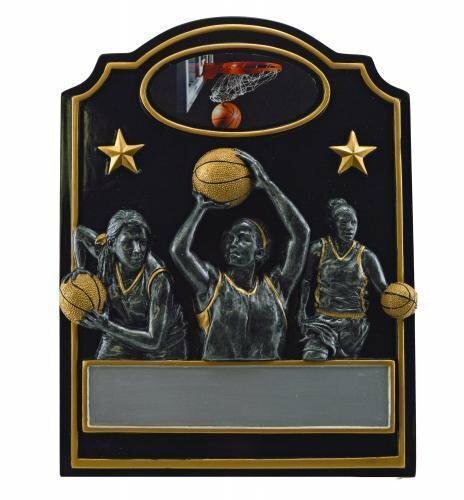 This Rockin Jox Basketball Award (Female) can either stand alone or be hung on a wall. 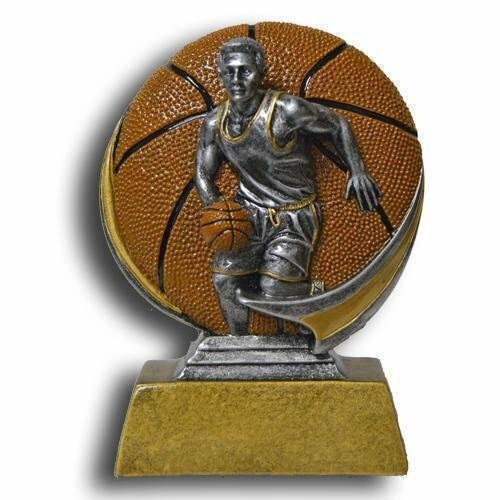 This basketball trophy comes with a brushed silver laser engraved plate. The player rocks forward and backward on this resin award. It has a great 3D effect. 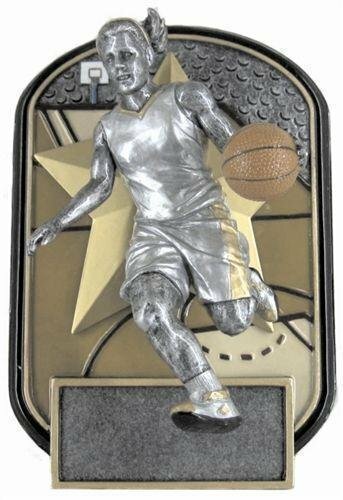 This Rockin Jox Basketball Award (Male) can either stand alone or be hung on a wall. 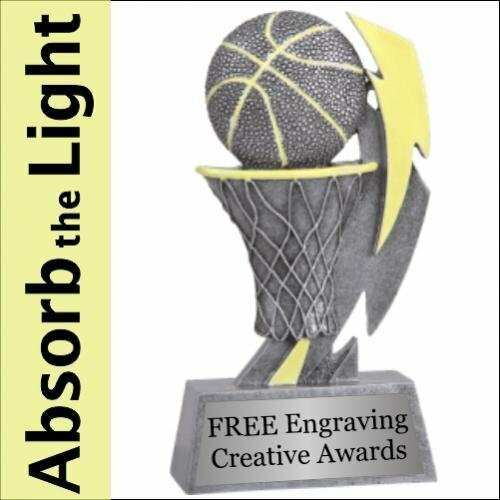 This basketball trophy comes with a brushed silver laser engraved plate.